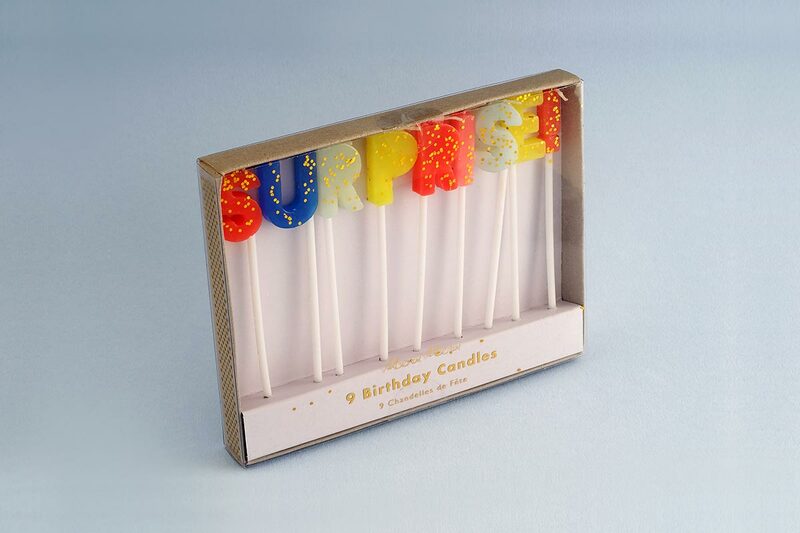 Create a surprise in candlelight with these colourful birthday candles. Each candle is embellished with chunky gold glitter. Pack contains 9 candles.